This is a very simple sautéed shrimp dish - it's great alone, over fettuccine, with rice, with a salad or just with fresh bread to scoop up the sauce. And the smell of it cooking fills your kitchen with a yummy butter-garlic scent! Heat olive oil and butter over medium high heat. Add garlic and sauté until mixture is simmering and garlic is fragrant. Add wine and bring to a rapid simmer until reduced by at least half. 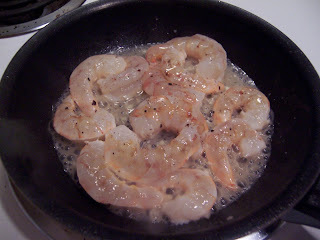 Add shrimp and squeeze lemon juice over shrimp. Salt and pepper. 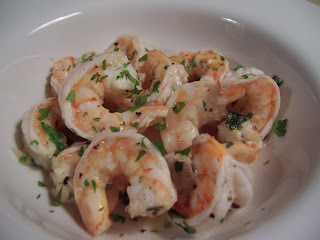 As shrimp become translucent and liquid evaporates, add parsley and remove from heat. Toss with pasta or serve as desired. Just the pasta/spinach/proscuitto recipe and the shrimp recipe.. they say it all for me..
What could be better?? This looks amazing! 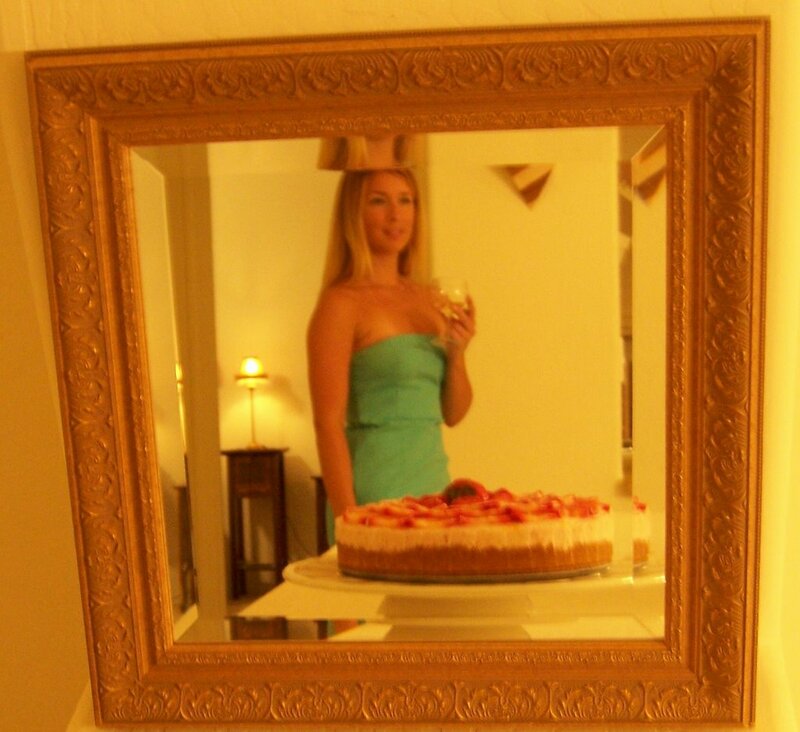 Hi Lisa!! I heart you too!! I Googled "Shrimp sauteed in wine and butter" and your post was the first entry. 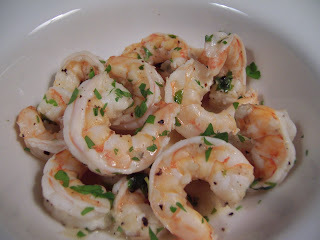 That was so good - my husband is thrilled at my first ever attempt to cook prawns...Thanks so much! Very good! I just got done making and eating this, i put it with cheesy vegetables and wow it was good!! My husband LOVED it! We had it tonight! Thank u!